Access to modern and reliable energy is something that most of the world takes for granted. But many around the world are living a different reality. Across sub-Saharan Africa and India, children often complete homework by the flicker of candles and kerosene lamps as wisps of smoke trickle up around them from the stoking of the fire beneath their cooking stove. Smoky homes and candle-lit homework sessions are the norm for billions without access to modern energy. The Duke University Energy Access Project aims to help achieve the United Nation’s (U.N.) seventh Sustainable Development Goal, which is to ensure universal access to affordable, reliable, and modern energy services by 2030. This new research and policy platform at Duke takes an interdisciplinary approach to developing market and policy solutions for the 1 billion who are still without electricity, another billion lacking reliable electricity, and the more than 3 billion people currently without access to clean cooking technologies. The Energy Access Project was established in late 2017 with a $1.5 million gift from Jim Rogers, former CEO and chairman of the board for the electric utility company Duke Energy, and his wife, M.A. Rogers. The Bass Connections Challenge at Duke University added $750,000 in matching funds to support the project’s goal of accelerating deployment of sustainable energy and empowering the world through expanded energy access. Key Duke collaborators in this effort include the Nicholas Institute for Environmental Policy Solutions, the Duke University Energy Initiative, the Sanford School of Public Policy, the Nicholas School of the Environment, and Bass Connections. The idea for the Energy Access Project began long before 2017, with a two-year collaboration between Jim Rogers and Nicholas Institute director Tim Profeta. Rogers, a long-time advocate for universal electricity access and author of the book Lighting the World: Transforming Our Energy Future by Bringing Electricity to Everyone, served as a Rubenstein Fellow at Duke from 2014 to 2016 after retiring from his CEO post. 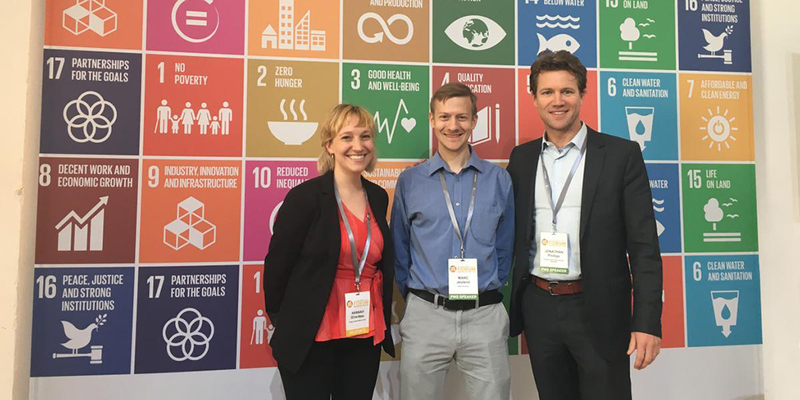 In 2015–2016, Rogers led a collaboration with Profeta and Tatjana Vujic, currently director of Biogas Strategy at Duke, which focused on off-grid electricity solutions. This Bass Connections project, a platform for giving students interdisciplinary experience addressing real-world problems, germinated the idea for the Energy Access Project. Vujic and the students created the initial version of the project proposal that Rogers and his wife would later fund. 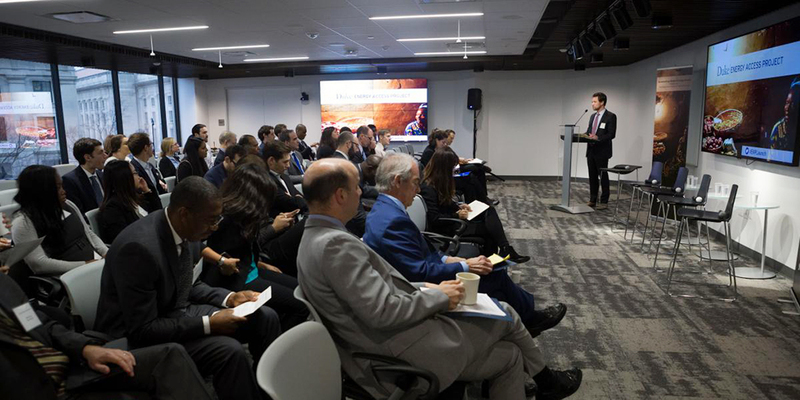 The Energy Access Project launched in Washington, D.C., in February 2018, bringing together leaders from government, business, civil society, and academia to discuss the biggest barriers to energy access and how to overcome them. One of the seven key themes was that more research is needed to strengthen our understanding of the way in which modern energy access relates to education, health, and food security outcomes. Collaborations between researchers and policy makers could facilitate effective planning for communities’ energy futures and help to mobilize local entrepreneurs. There’s a big gap between what is being evaluated by scholars and the types of programs, projects, and policies being implemented. With an international research collaborative, the Sustainable Energy Transitions Initiative (SETI), the Energy Access Project staff and students helped to review nearly 80,000 academic articles to map the existing research connecting energy access, technologies, and interventions to different impacts and development outcomes. This gap—between what we know and what we do—could keep the world from achieving a critical number of these Sustainable Development Goals, Pattanayak said, noting that we must make scientific evidence more practice based by training the next cadre of scholars an practitioners and encouraging impact evaluations of real-life projects, programs, and policy or risk being left in the dark. Staff are taking on work to help researchers and decision makers make research more accessible to target audiences. In doing so, the project will drive a global research agenda focused on filling key knowledge gaps, in the process deepening our understanding of how energy access relates to other development outcomes. The Energy Access Project is convening researchers to lead integration of diverse disciplines, such as data analytics, with real world energy access applications using tools like satellite imagery and artificial intelligence. Beyond its research focus, the Energy Access Project is working directly with policy makers on the design of key institutions and policies to support electrification as well as with companies and social enterprises to understand how innovative business models can help reach last-mile customers. Despite the increased interest in the idea of universal energy access, our policy makers and analysts have not quite caught up with the quick-moving world of the business models and financing piece. To help the U.S. Congress navigate emerging market financing reform options, Energy Access Project staff assembled an analysis of how a new, more fully-equipped American development finance institution could help fill the global energy financing gap. In their policy brief, released in June 2018 as the Better Utilization of Investments Leading to Development Act (BUILD Act) legislation continued to move closer to passage in Congress, Energy Access Project staff found that the United States is not fully harnessing the power of private sector-led development, leaving U.S. foreign policy gains—and U.S. Treasury profits—on the table and businesses without the capital to build modern energy systems and other underpinnings of development. The ultimate goal of this effort is to equip governments, investors, and developers to dramatically accelerate rural electrification in an integrated manner, unlocking new economic opportunities for millions of households. Entirely new energy delivery platforms have the potential to power remote villages many miles from the existing grid. 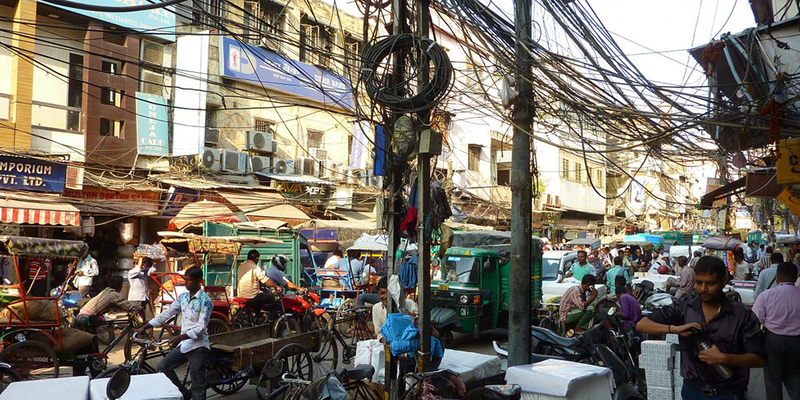 The Energy Access Project is collaborating with CrossBoundary Energy and the Rockefeller Foundation on a new Mini-Grid Innovation Lab to help refine one of these promising models. 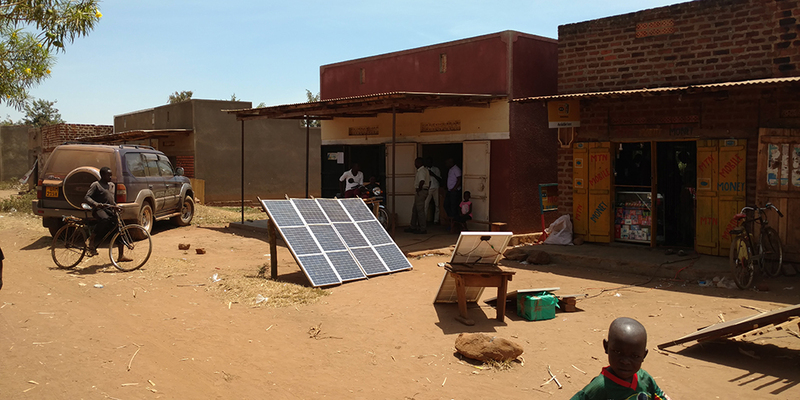 The partnership is testing innovative new business models for deploying off-grid mini-grids in order to improve the economics of mini-grids and better understand how rural low-income customers can best be served. “The ultimate goal of this effort is to equip governments, investors, and developers to dramatically accelerate rural electrification in an integrated manner, unlocking new economic opportunities for millions of households,” Ashvin Dayal, Rockefeller Foundation associate vice president and managing director for Smart Power, said in an interview with Solar Magazine about the lab. The project supports relevant courses, internships, and campus events that build linkages between the Duke student and faculty community and the energy access practitioner and policymaking community. Shortly after its launch, the Energy Access Project sponsored and helped to judge the Energy in Emerging Markets Case Competition in partnership with M-KOPA Solar. The competition attracted 45 student teams from around the world to focus their business and problem-solving acumen on a real-world challenge facing one of the leading companies in the solar home system sector in Africa. “The competition helped M-KOPA’s leadership team think through credible options for addressing a difficult regulatory and business model issue while giving hundreds of students an opportunity to wrestle with questions of technology, policy, and community development in an important and rapidly developing sector,” Phillips said. The Energy Access Project is also supporting Duke science students’ efforts to create an energy access data platform. Through the Duke Data+ program, a team of undergraduates is working closely with Power for All, a leading energy access research and policy nonprofit, to develop machine learning and natural language processing tools to improve visualization of data and information on energy access in developing countries. The effort ties into Power for All’s Platform for Energy Access Knowledge (PEAK), which automatically curates, organizes, and streamlines large, growing bodies of information into sharable, data-driven stories for policy makers and researchers alike. The students consult with Power for All to creatively visualize PEAK’s library—using artificial intelligence—to create more effective science communication. This experience has taught me that there are ways to use computer science and data analytics in every interdisciplinary field. For these students, the research is allowing them to apply their skills in ways they never thought possible. By Erin McKenzie; originally posted on the Nicholas Institute for Environmental Policy Studies website. Work on this project is funded by Jim and M.A. Rogers and the Bass Connections Challenge.